As part of the partnership, Gaiam is making a special financial contribution to the Give Back Yoga Foundation’s Light the Way for Heroes™ initiative, a campaign designed to provide the proper tools to veterans so they can practice and use yoga as a means of “navigating life after war” which will strengthen connections with loved ones and improve quality of life. 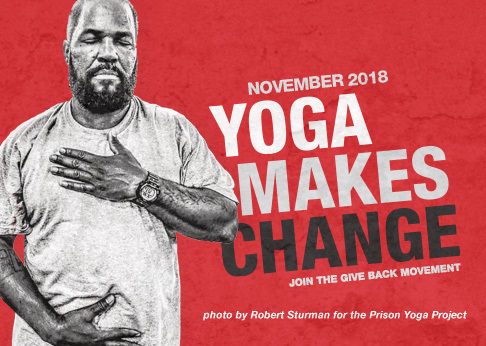 With a goal of providing for 30,000 veterans, Gaiam and Give Back Yoga aim to empower veterans to use yoga as a means of living a peaceful, productive life. Gaiam is also inviting their loyal online shoppers to support the cause by donating $2 specifically to Light the Way for Heroes with every purchase on Gaiam.com. The customer donations through Gaiam.com will help to provide veterans with therapeutic yoga toolkits, which offer resources including practice guides, meditation audio and Gaiam yoga mats that can help veterans experience how a personal yoga practice supports a calm and steady body and mind. One hundred percent of the donations collected are passed along to Give Back Yoga. Gaiam will also be donating yoga mats to the Give Back Yoga Foundation, for use in all of their initiatives. Gaiam, Inc. (Nasdaq: GAIA) is a leading producer and marketer of lifestyle media and fitness accessories. With a wide distribution network that consists of over 38,000 retail doors, close to 15,000 store within stores, 5,000 category management locations, along with e-commerce and digital subscriptions platforms, Gaiam is dedicated to providing solutions for healthy and eco-conscious living. The company dominates the health and wellness category. For more information about Gaiam, please visit www.gaiam.com or call 1.800.869.3603. View the original press release on PRNewswire. Make a donation through Gaiam to help Light the Way for Heroes.